Cage is a simple, stylish shelving system built to last. 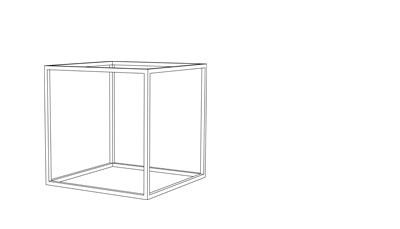 Designed to be modular — you can easily build, adapt, reshape and add to your Cage setup so it will always be the perfect fit for your space. Starting with cube-style steel frames in black or clear lacquer, just add shelves, panels and cubes to create the perfect way to keep your ‘stuff’ stored and organised, all available in a host of finishes — from natural ply to striking coloured steel finishes. Equally at home in an office, reception, retail or even home environment, showcase those company products, build a reference library or simply keep your stuff organised and out of the way. Cage, finally storage gets smart, stylish and infinite.